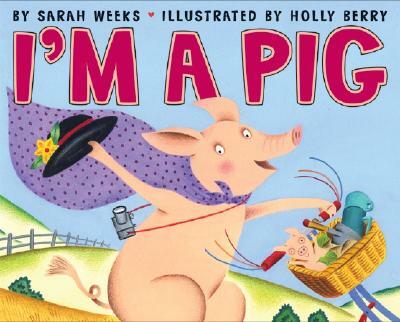 I′m a pig, I′m a pig, and I′m happy as a clam that I′m not an armadillo or a lion or a lamb. Happy Pig proclaims the joys of life in this ode to piggies everywhere. Whether she is oinking at the moon or wallowing in the mud, it′s easy to see why a pig is the absolutely perfect thing to be!